Home / Super Screener Results / Big Bing Crosby Hit + More – Recap! Big Bing Crosby Hit + More – Recap! Taking nothing away from Roy H’s performance here, this was a useful prep off the bench and he needed the race as we had anticipated — but he’ll move forward from here while we saw the best of Ransom the Moon. Sadler-trained Edward’s Going Left was pegged as the most likely bottom-of-the-Superfecta candidate and he obliged with a nose win over his stablemate St. Joe Bay. All of the Super Screener suggested wagers hit including the $1 Superfecta going narrow in the win and 4th place slots. Total return in that race was over $1,600. 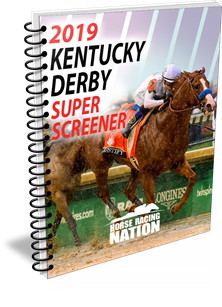 The good news is that the Super Screener Trifecta and Superfecta suggested wagers cashed in this race. The bad news is that it couldn’t have come up more chalky with the first 5 finishers finishing in the order of their odds. Our top pick, Proforma came on like a freight train in that final furlong but it was too late. Dubini was one of our likeliest horses to finish 4th and he did just that completing the suggested Superfecta wager which paid $208. Not one of the most exciting 3 year-old races of the year, but with Justify retired, Good Magic served notice here that he may be the best 3 year-old in training right now and this served as a very useful prep for the G1 Travers Stakes where he’ll face off against the likes of Hofburg and others. Core Beliefs was a disappointment and perhaps has validated he is a “B” horse among this crop as he did face easier in his prior races and could not parlay that into a move forward here. :51 3/5th and 1:17. That allowed the unlikely long shot #5 Glorious Empire to walk the track and then outsprint the rest to dead heat with Channel Maker. Do note that Bigger Picture ran the best race as he was most compromised by the slow pace sitting dead last. This was a great prep race for Sadler’s Joy as he now moves to the G1 Sword Dancer. He finished 3rd as he did last year in this race and he showed that with that brilliant turn of foot, he can overcome most slow-pace set ups. G3 Amsterdam – Promises Fulfilled, in an excellent come back, out lasted Engage for the win and the Super Screener top 2 ranked horses completed this ultra chalky stakes race. G1 Vanderbilt – The Super Screener lone “A” horse, Imperial Hint, was much too good for this field and our Vulnerable Favorite pick, Switzerland was not up to this level of competition. Recommended Exacta hit but once again it was a paltry payout. G2 Jim Dandy – The Super Screener’s top 3 selections finished in order as predicted with Tenfold doing his best Sporting Chance impression as they were approaching the wire veering out suddenly with just yards to go to the wire but was game enough to pass a tiring but gritty Flameaway and the fast-closing Vino Rosso. Here comes August which means we are in the depths of all this great summer stakes action. This weekend at Saratoga we are treated to a pair of G1 Stakes races in both the Whitney and Test. At Del Mar, a pair of G2 Stakes races highlight their weekend with the Yellow Ribbon Stakes on Saturday and the Sorrento to be contested on Sunday. In addition, Mountaineer has their big day of racing anchored by the G3 West Virginia Derby. Don’t miss any of this great stakes racing action! ← Previous Story Saratoga & Del Mar Opening Weekend Recap + Results! Next Story → 3 for 4 at Saratoga/Del Mar – See the Recap! 3 for 4 at Saratoga/Del Mar – See the Recap! Get Saratoga & Del Mar Stakes Picks & Tickets to CRUSH the Summer!